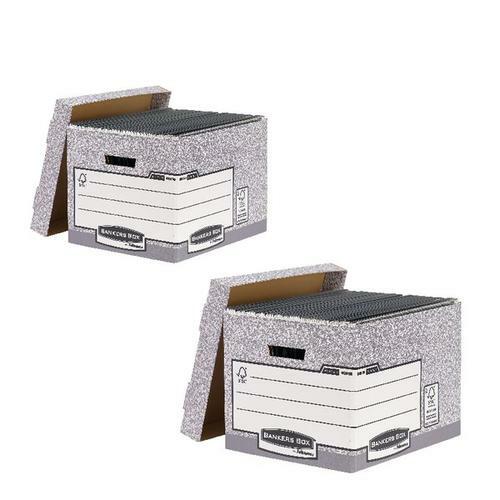 This Bankers Box standard storage box features time saving Fastfold assembly and oversized lid, which can accommodate A4 and foolscap suspension files, ring binders, lever arch files and Bankers Box 120mm transfer files. Each grey storage box measuring W330 x D392 x H285mm internally. With this promotion you will receive 10 standard boxes and 10 standard boxes FOC.